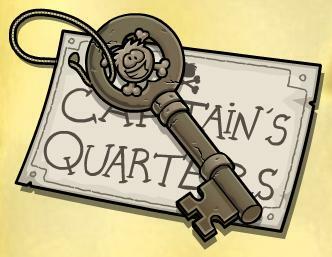 If you want to access Rockhopper’s Captain Quarters, you need a key. To get it, go to the Book Room. 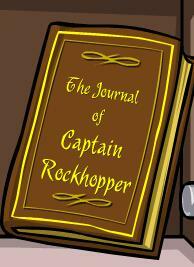 (Above the Coffee Shop) Open the Bookshelf and click “The Journal of Captain Rockhopper”. Go to the very last page. You will see a key. Click it, and it’ll be added to your inventory. Congratulations! Now when Rockhopper is on Club Penguin, you can access his Captain’s Quarters. I LOVE the Easter Bunny! I cannot wait to wake up my mom and dad tooorrmw to see what I got! im 10 and I still believe! I am making eggs tonight that look like Cracle Nail Polish. I LOVE you Easter Bunny! Iv’e had the Easter Traqcker on since 8 this morning! and now it’s 7! whats in the captains quarters?? Hey guys im gonna be online today. I already got the key. hope to see you in the backstage on the beach party!! !